Small town living in Merrimac & the desirable Pentucket School system! 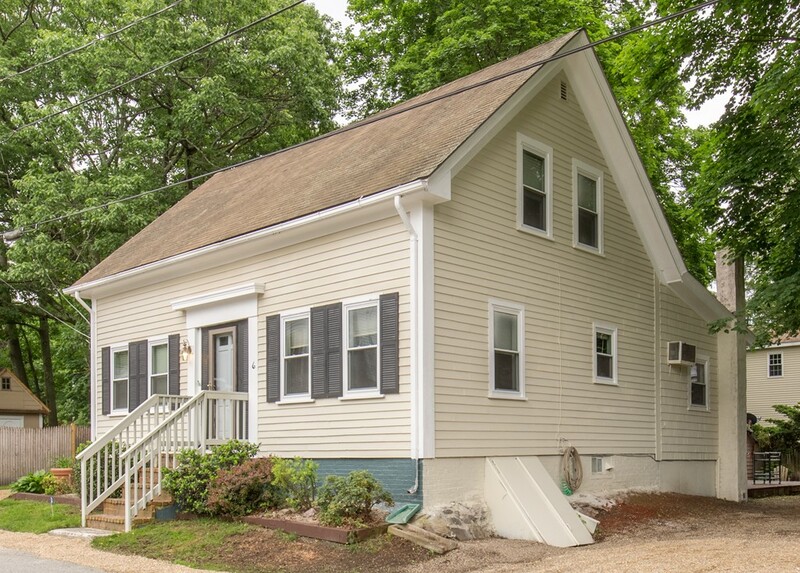 Adorable 4 bed 1.5 bath cape cod home w/ lots of charm & character on nearly 1/4 acre lot. Large, 3/4 fenced back yard oasis, w/ multiple stone patios, 2 levels of decks, 2 sheds & even a bocce ball court! Open kitchen/ dining room concept, new kitchen cabinets/counter tops, center island, stainless appliances & pantry, beamed ceilings, new gleaming wood floors, new bathroom vanity/cabinetry. Wood burning stove in living room over looking back yard/deck. Full unfinished basement w/ easy exterior access. Only 1 block from quaint downtown & so close to Newburyport'si historic seaport, Plum Island/NH Beaches, easy to access highway & not far from commuter rail/bus terminals.